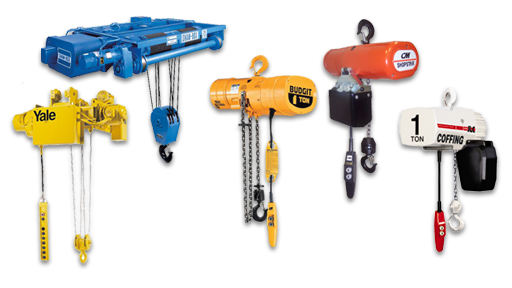 Hoists can be electronically controlled or manually operated with a crank; the configuration depends on the demands of the application and the overall layout of the crane system. In a bridge crane, a hoist is mounted on rollers and affixed to a raised girder that is parallel with the ground. That girder is set on their own rollers and affixed perpendicularly on other girders, which are themselves resting on poles or girders attached to the ground. Many other kinds of equipment and materials are necessary in order to make a hoist meaningful. Hoists and other lifting materials are only as reliable as the equipment on which they are mounted and the hands that operate them. When properly constructed and applied, hoists can contribute in invaluable ways to building construction, road building, cargo loading for railroads and shipyards, manufacturing, rescue operations and many other important processes. Crane manufacturers have developed an extensive variety of innovative solutions to the many problems with which their customers have presented them. Because there are so many different contexts in which cranes and hoist systems must be applied, a great variety of innovations has emerged to accommodate them. In forestry, for example, rough terrain hoist cranes are used to collect and place logs on the back of truck beds. These cranes can be fitted with treads, tanks or heavy duty wheels and can be moved to sites on their own power or transported by other vehicles. In other cases, hoists can be affixed to simple, manually operated jib cranes; these small cranes can be used in auto repair shops for the removal and mounting of engine components in vehicles. Other jib crane varieties like tower cranes also involve hoist systems. Tower cranes are used for the construction of very large buildings like skyscrapers; they use hoist systems to both lift objects off of the ground and to move them back and forth across a jib arm. Because hoists are used in so many different kinds of cranes, professionals have to carefully consider the hoists’ applications in advance of their installation in order to ensure safe and effective operation. Hoist Cranes Hoist cranes are lifting and movement tools. "Hoist" is the word sometimes used for the hardware that performs the extension and retraction during a lifting process. 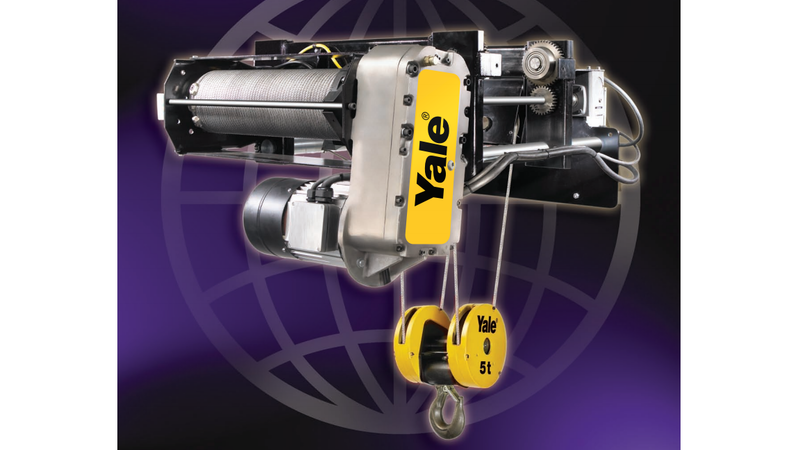 A hoist usually features a tension cable or other strong wire wound around a bale and connected to a strong hook or other connector.